Dr Paul Ayris, CEO of UCL Press and Pro-Vice-Provost (UCL Library Services), said: “UCL believes that the future of academic and scholarly pursuit is best served by an open science agenda and fully open access publishing because knowledge should be accessible to all, regardless of location or financial means. UCL first announced that it would be launching a new open access megajournal in January 2018, signalling its continued commitment through UCL Press to providing academics and students with ground-breaking research free of charge in a move that challenges traditional commercial publishing models. Powered by the ScienceOpen discovery and publication platform, the megajournal aims to showcase radical and critical thinking applied to real world problems that benefit humanity. The megajournal will champion the open science/scholarship agenda by openly and transparently reviewing and publishing articles that generate new knowledge, ideas and new ways of thinking. Articles will be judged on the merit and scientific validity (sound science/scholarship) of the work. The journal is inviting submissions from any grade of researcher at and beyond UCL, at all career stages, including early career researchers, professionals, and mid to late career scholars. Editors are welcoming research from all parts of the globe that particularly focus on inter- and multi-disciplinary research. Professor David Price, UCL Vice-Provost (Research), said: “UCL seeks to transform how knowledge is shared and applied to humanity’s problems. Only by sharing academic research as openly and widely as possible – with, for example, researchers, educators, students, policymakers, partners and members of the public – can its benefits to humanity be maximised. The traditional scholarly publication system is not fit for, nor does it intend to serve, this purpose. Preprints are defined as scholarly articles that precede publication in a peer-reviewed journal. They speed the delivery and accessibility of academic research work and lead to faster reuse and collaboration by the research community. 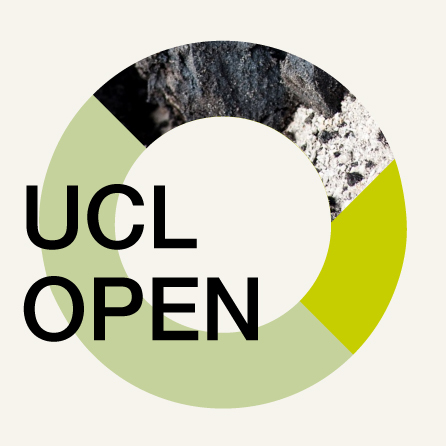 UCL Open: Environment is now open and accepting new submissions. To read more about the megajournal, how it works and how to submit, as well as all its peer review and editorial policies, please visit ucl.scienceopen.com.